Plasmonic metamolecules. Picture: Marco Tripodi. Plasmonic nanoparticles reveal properties based on their geometries and relative positions. Now, researchers have developed a simple way to control the optical properties of plasmonic nanostructures that strongly rely on their spatial arrangement. The plasmonic nanoparticles are capable of developing clusters, plasmonic metamolecules, and then interacting with each other. The properties of the metamolecules can be controlled by changing the geometry of the nanoparticles. The challenge is to make the structures change their geometry in a controlled way in response to external stimuli. In this study, structures were programmed to modify their shape by altering the pH. Plasmonic metamolecules were functionalized in this study with pH-sensitive DNA locks. It is possible to effortlessly program DNA locks in order to operate at a specific pH range. Metamolecules can be either in relaxed state at high pH or in a “locked” state at low pH. Both states comprise of extremely distinct optical responses. In fact, this allows developing assemblies of several types of plasmonic metamolecules, and each type is custom designed to switch at different a pH value. 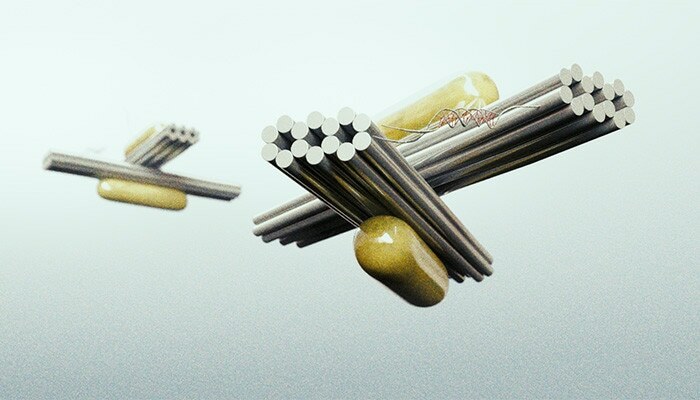 The potential to program nanostructures in order to carry out a specific function only within a certain pH window could have applications in the field of smart nanomaterials and nanomachines with customized optical functionalities. This active control of plasmonic metamolecules proves to be promising for the development of sensors, transducers, optical switches and phase shifters at different wavelengths. In the future, it could also be possible to use pH-responsive nanostructures in the development of controlled drug delivery. The research was carried out by Anton Kuzyk from Aalto University, Maximilian Urban and Na Liu from Max Planck Institute for Intelligent Systems and the Heidelberg University, and Andrea Idili and Francesco Ricci from the University of Rome Tor Vergata.